Wake up to happy, healthy freshness after applying this delicate cream’s blend of regenerating antioxidants, nightly, which are essential in aiding a firm tone and texture for the skin. 1 oz. Acai Butter: Benefit from the potent levels of calcium, potassium, Omegas 3, 6, and 9, vitamin B, as well as antioxidants that help repair wrinkles and sun damage. Tamanu Oil: Regenerates skin cells, repairs damaged skin cells, softens fine lines and wrinkles, and provides moisture. Vitamin C: Creates younger looking, firmer feeling skin while reducing age spots. Lavender Hydrosol; Aloe Vera Gel; Emulsifying Wax NF; Organic Extra Virgin Olive Oil; Green Tea Seed (Camellia) Oil; Olive Squalane; Calendula Extract; Macadamia Nut Oil; Rosehip Seed Oil; Glycerin; Cranberry Seed Oil; Acai Butter; Meadowfoam Seed Oil; Organic Shea Butter; Niacinamide (Vitamin B3); Panthenol (Pro-Vitamin B5); Pomegranate Seed Oil; Tamanu Oil; Vitamin C (Magnesium Ascorbyl Phosphate); MSM (Methylsulfonylmethane, a nutritional extract); Stearic Acid; Beeswax; DMAE (Dimethylaminoethanol, a nutritional extract); Allantoin; Vitamin E (T-50); Tinosan SDC (a preservative containing Silver Citrate & Citric Acid); Sea Buckthorn CO2 Extract; Citric Acid; Potassium Sorbate, Essential Oils of Carrot Seed, Rose, Palmarosa, Chamomile, Immortelle, Geranium, and Orange. 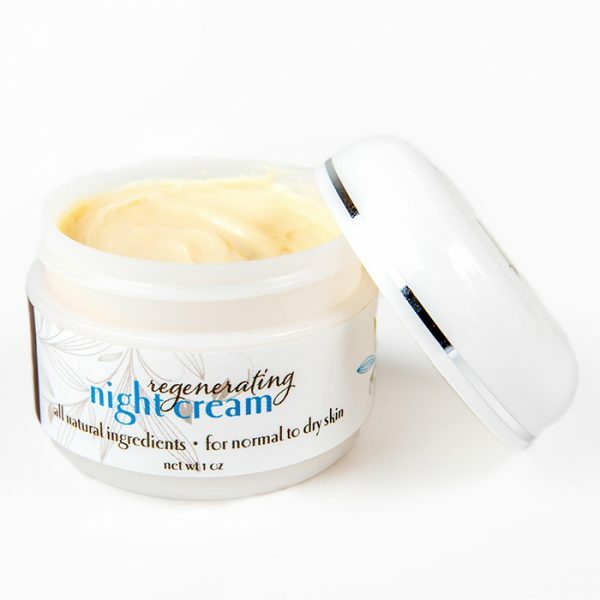 I have been using LilaJune Regenerating Night Cream since it was first developed. My aging skin does not seem to be showing it’s age! Fantastic product. LilaJune skin care products have me hooked! 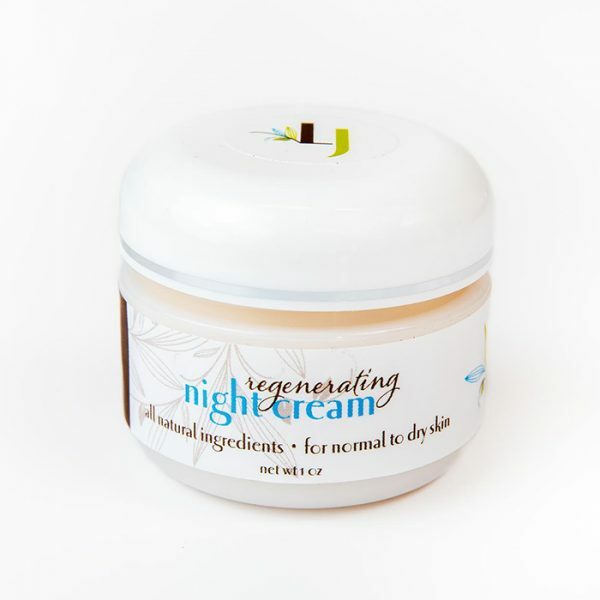 The night cream is my favorite. I wake up every morning feeling like my skin is looking its best. I highly recommend it! Nourish your skin naturally and gently with our handcrafted skincare. 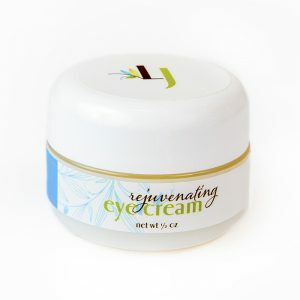 Our full line of skincare includes cleanser, toner, day cream, night cream, eye cream and more.